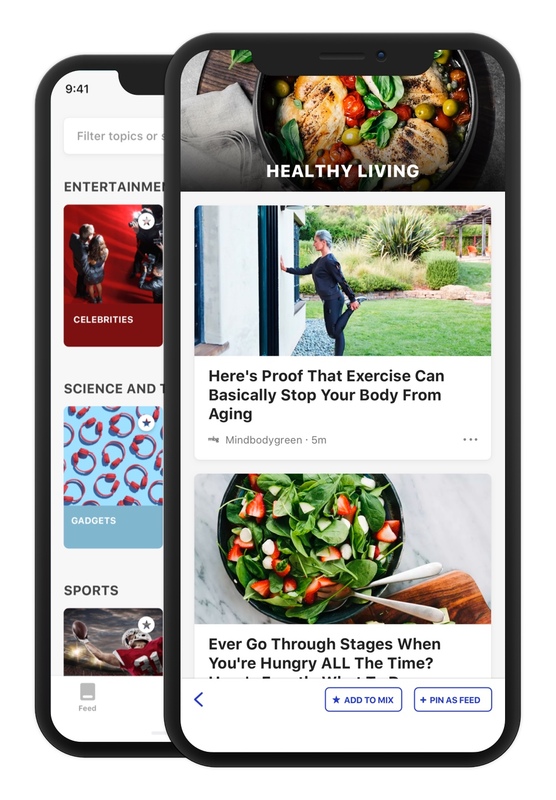 Select from a wide variety of topics-movies, celeb gossip, fashion, nutrition, soccer-to build your mix. 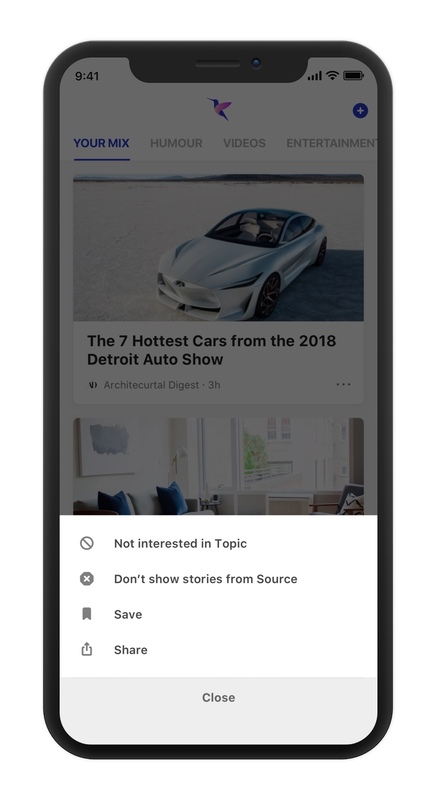 You choose if you want a topic to appear in Your Mix or its own feed. Just tap a topic and decide. Then Hummingbird starts searching the web for relevant stories. 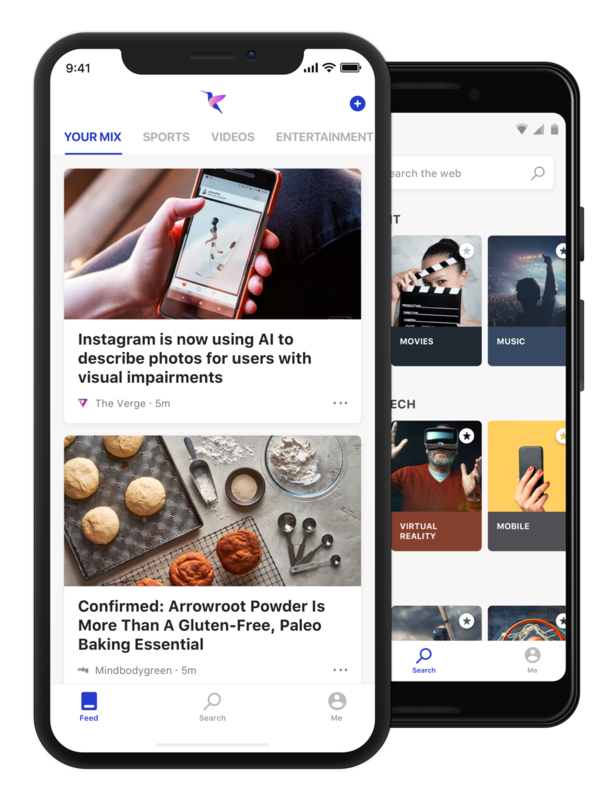 Explore and pin feeds that you like, search for trending videos, or check what's happening in your neighborhood-all in one place. 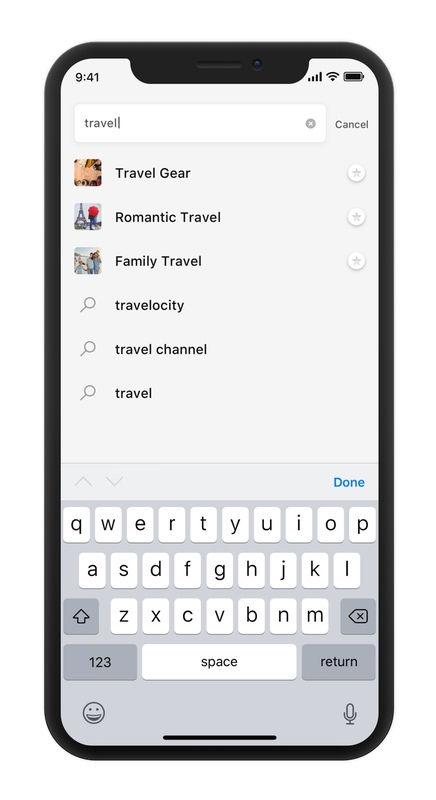 The more you use Hummingbird, the better it gets at searching for and finding stories you'll like. You can also hide stories and sources, save search results, and share the links on social. Just tap the magnifying glass icon on the bottom of the screen to search the web.